Chest pain is a symptom rather than a condition. Depending on the cause of the chest pain, it can be felt in several different ways and be associated with other signs and symptoms. The worst-case scenario with chest pain is that it is a sign of a heart attack. A heart attack is a blood clot in the heart muscle that leads to damage. 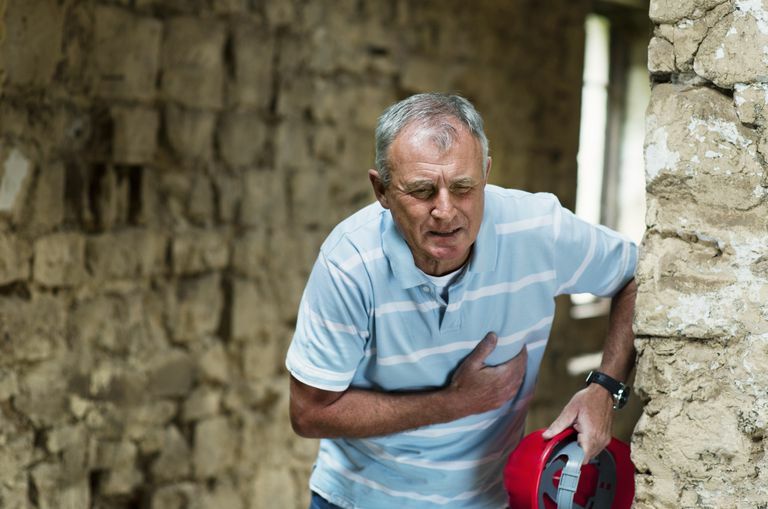 In very serious cases, a heart attack can lead to death, but it is a common misconception that a heart attack is the same as cardiac arrest (when the heart stops beating). Paramedics and doctors use a standard method to assess chest pain and any other pain that comes on without an obvious reason (pain from getting kicked in the chest by a horse is completely different than the pain that comes on mysteriously while you're watching TV). They use the mnemonic OPQRST to help them assess the chest pain and identify what's causing it. Onset. How did the pain start? Did it come on suddenly or gradually over time? Pain from a heart attack is likely to come on suddenly, while pain from a lung infection is more gradual. Provocation. What provokes the pain? Is it worse when you move or take a deep breath? Is it worse if you press on your chest? Does anything make it feel better? Pain from lung infections like pneumonia tends to hurt worse when you take a deep breath or cough. Muscle pain is usually tender to movement, touch, and breathing. Heart-related pain is often constant and doesn't respond to movement or breathing. Quality. What does the pain feel like? Is it sharp or dull? Pleurisy (pain associated with lung inflammation) is often sharp or stabbing. Heart-related pain is commonly described as a pressure or squeezing feeling. Radiation. Does the pain go anywhere, or does it stay in one spot? Heart pain may or may not go anywhere other than the center of the chest, but it is often described as radiating up to the neck and jaw or to the left arm. Heart pain can also radiate to the right arm or the back. Severity. How bad is the pain on a scale of 1 to 10? There is no minimum pain level to be related to the heart. Paramedics and doctors ask the patient to describe how bad the pain is so they can tell if their treatment makes the pain better or worse (or doesn't change it). Time. How long have you had the pain? The saying is that "time is heart muscle," so the longer the patient has had chest pain, the more likely whatever damage is done to the heart will remain permanent. What Are the Symptoms of a Heart Attack? National Heart, Lung, and Blood Institute.